Of the many famous mystery and detective books that have been made into PC games, the Nancy Drew PC detective games series is by far the most popular and also has the most titles. From simple hidden object games to more challenging strategy and point-and-click adventure games, there is plenty to satisfy any fan of the girl detective. The game titles listed in this post are of those that were released from 2000 to 2003. For more top Nancy Drew games, see my other post included below. The games in this post are listed in chronological order, and include details of the plot, a quick review and rating from me and a link to where you can get the free or full downloadable versions for PC (and Mac if available). * Released 2000 by Her Interactive, Inc.
Join legendary detective, Nancy Drew, as she follows ancient clues to find the mysterious Wickford Castle's legendary secret in this Large File Adventure game! The castle is a riddle, full of dead-ends and detours that hint at a legend left behind by Marie Antoinette! 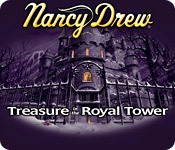 Solve baffling puzzles, search concealed rooms, interview evasive suspects, and sidestep danger on the hunt for a secret that the doomed Queen was desperate to hide, in Nancy Drew: Treasure in a Royal Tower! * Released 2001 by Her Interactive, Inc.
UK Amazon: 3 in 1 PC Bundle. 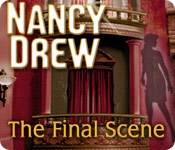 This cool Nancy Drew bundle includes Treasure In The Royal Tower, The Final Scene and Secret Of The Scarlet Hand. 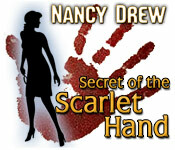 Catch a museum thief red-handed in Nancy Drew – Secret of the Scarlet Hand, a brand new mystery adventure for all ages! Dare to play the full version of Nancy Drew – Secret of the Scarlet Hand and solve this mystery before the answer is entombed forever! * Released 2002 by Her Interactive, Inc. 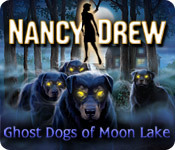 Sniff out clues on the trail of phantom hounds in Nancy Drews Ghost Dogs of Moon Lake, a spooky new adventure in the fantastic junior detective series! Solve this mystery before the hounds chase you away forever! * My review: Good graphics and nice adventure story idea, but a little short and the games were a bit simple. UK Amazon: 3 in 1 PC Bundle. 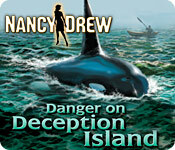 This cool Nancy Drew bundle includes Ghost Dogs of Moon Lake, The Haunted Carousel and Danger on Deception Island. Step into the shoes of Nancy Drew and investigate a series of mishaps at the Jersey Shore in Captain's Cove Amusement Park. First, the lead horse was stolen from the carousel. Then the roller coaster suddenly lost power, resulting in a serious accident. Put on your detective hat and interview park employees to solve a series of challenging puzzles. 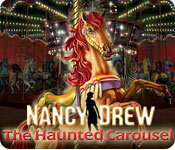 Avoid deadly traps to discover the real truth in Nancy Drew: The Haunted Carousel. * Released 2003 by Her Interactive, Inc.
A well-deserved vacation to a remote island in the Pacific Northwest abruptly runs aground when Nancy Drew discovers a new mystery in this adventurous brain-bender. After being invited on a whale-watching excursion, our sleuth arrives to find her hosts tour boat heavily vandalized. And that's just the first in a string of nasty "accidents". Is the trouble in Snake Horse Harbor related to the orphaned orca whale roaming the nearby channel, or is there a deeper threat shrouded in the approaching fog? Plunge into danger and bring this mysterious island's secrets to the surface! 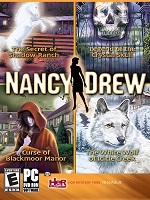 For more top Nancy Drew games, check out my post: Best Nancy Drew PC Games - Part 3. And also Nancy Drew Games List in Order. 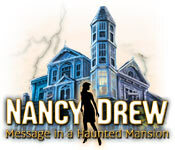 With all of the Nancy Drew games for PC and Mac download. Listed in order of release. I can't name just one LOL! I have every ND game EXCEPT....Stay Tuned For Danger....any idea where I can get it for free (or atleast the trial) online? I love these games so much. They are fun and interactive. I enjoy then and have beat many of them..